In addition to slicing out the hearts of victims and spilling their blood on temple altars, the Aztecs likely also practiced a form of ritual cannibalism. 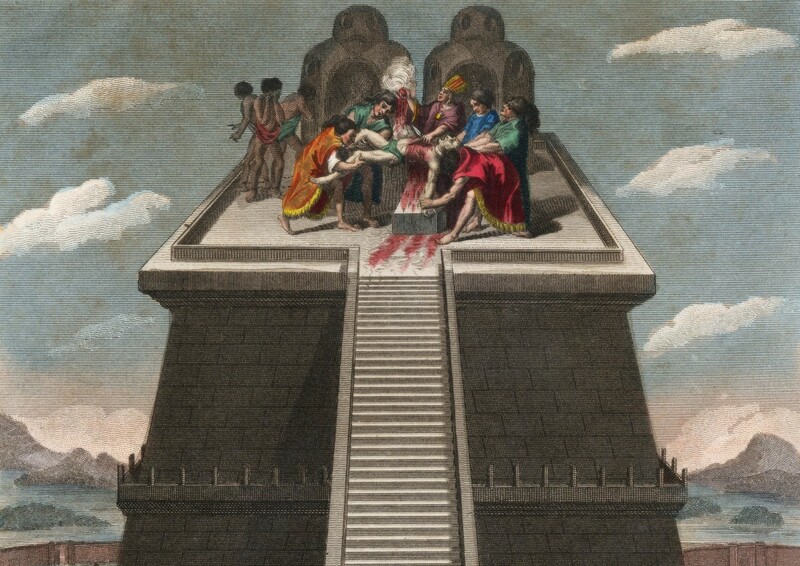 An Atztec human sacrifice atop the Mesoamerican temple pyramid. When the Spanish conquistador Hernán Cortés and his men arrived in the Aztec capital of Tenochtitlán in 1521, they described witnessing a grisly ceremony. Aztec priests, using razor-sharp obsidian blades, sliced open the chests of sacrificial victims and offered their still-beating hearts to the gods. They then tossed the victims’ lifeless bodies down the steps of the towering Templo Mayor. Andrés de Tapia, a conquistador, described two rounded towers flanking the Templo Mayor made entirely of human skulls, and between them, a towering wooden rack displaying thousands more skulls with bored holes on either side to allow the skulls to slide onto the wooden poles. Reading these accounts hundreds of years later, many historians dismissed the 16th-century reports as wildly exaggerated propaganda meant to justify the murder of Aztec emperor Moctezuma, the ruthless destruction of Tenochtitlán and the enslavement of its people. But in 2015 and 2018, archeologists working at the Templo Mayor excavation site in Mexico City discovered proof of widespread human sacrifice among the Aztecs—none other than the very skull towers and skull racks that conquistadors had described in their accounts. While it&apos;s true that the Spanish undoubtedly inflated their figures—Spanish historian Fray Diego de Durán reported that 80,400 men, women and children were sacrificed for the inauguration of the Templo Mayor under a previous Aztec emperor—evidence is mounting that the gruesome scenes illustrated in Spanish texts, and preserved in temple murals and stone carvings, are true. Why did they carry out such brutal ceremonies? John Verano, an anthropology professor at Tulane University, explains the practice held spiritual significance for the Aztecs. “It was a deeply serious and important thing for them,” says Verano. Large and small human sacrifices would be made throughout the year to coincide with important calendar dates, he explains, to dedicate temples, to reverse drought and famine, and more. The rationale for Aztec human sacrifice was, first and foremost, a matter of survival. According to Aztec cosmology, the sun god Huitzilopochtli was waging a constant war against darkness, and if the darkness won, the world would end. The keep the sun moving across the sky and preserve their very lives, the Aztecs had to feed Huitzilopochtli with human hearts and blood. 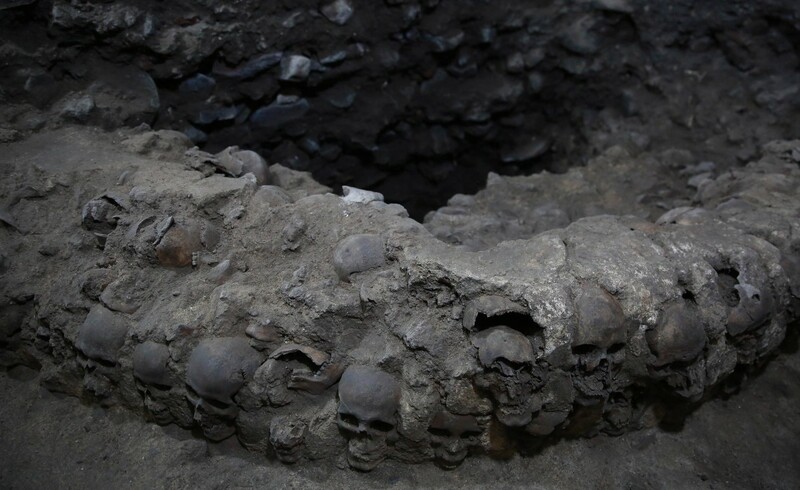 More than 650 skulls and thousands of fragments found near Templo Mayor. 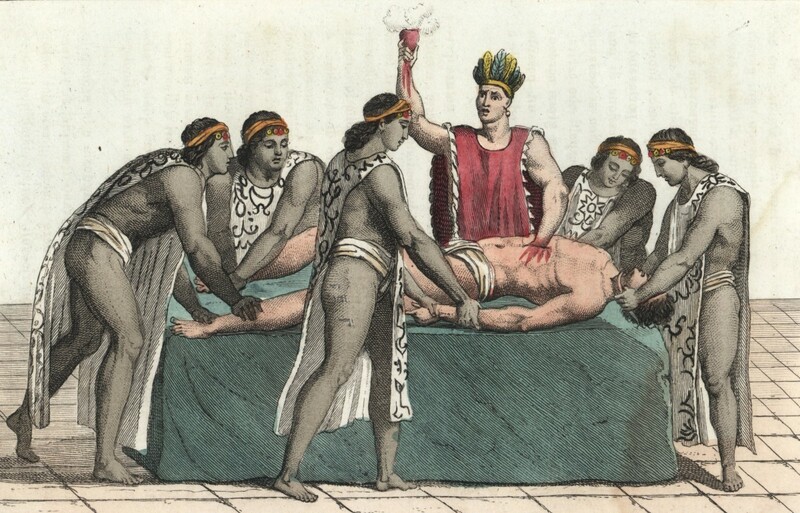 Human sacrifice also served another purpose in the expanding Aztec empire of the 15th and 16th century: intimidation. The ritual killing of war captives and the large-scale displaying of skulls were visceral reminders of the strength of the empire and the extent of its dominion. 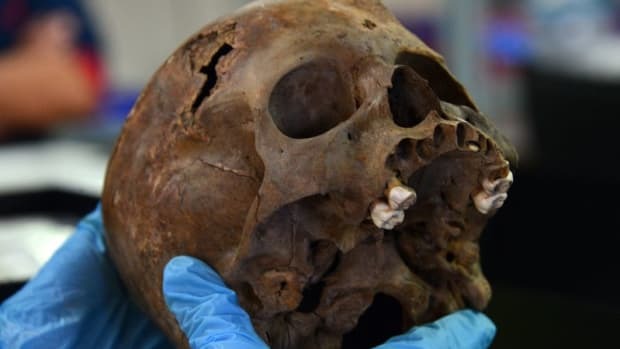 DNA tests of recovered victims from the Templo Mayor site show that the vast majority of those sacrificed were outsiders, likely enemy soldiers or slaves. 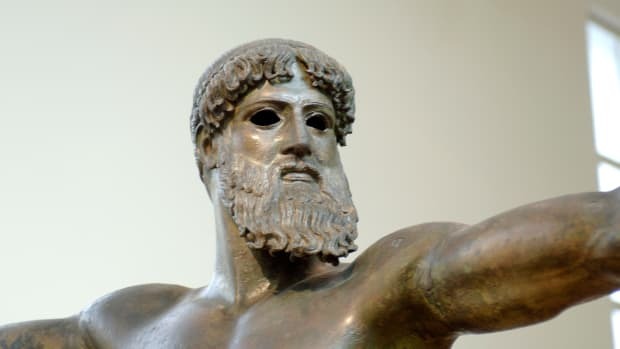 Verano says that across history and cultures, the rise of ritual human sacrifice often coincides with the emergence of complex societies and social stratification. It’s a particularly effective method of intimidating rivals and keeping your own people in line. 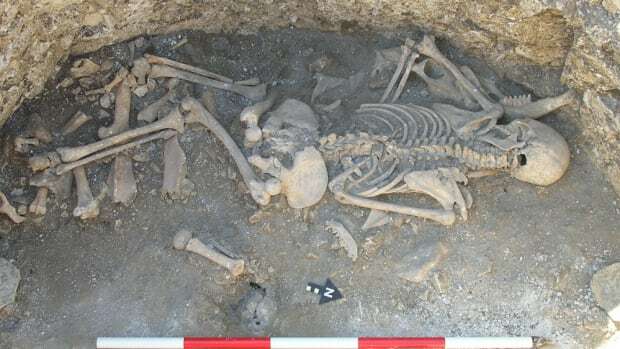 Just look at the gladiator battles of Imperial Rome or the mass burials of servants and captives alongside Egyptian pharaohs and Chinese kings. Also, as hard as it is to imagine, many captured soldiers, slaves and Aztec citizens went willingly to the sacrificial altar. To give your heart to Huitzilopochtli was a tremendous honor and a guaranteed ticket to a blessed afterlife fighting in the sun god’s army against the forces of darkness. The nature of warfare during the height of Aztec power was also unique. By the late 15th century, the Aztecs had won control over large swaths of central and southern Mexico. The only remaining holdout was the neighboring city-state of Tlaxcala to the east. An Aztec priest removing a man&apos;s heart during a sacrificial ritual, offering it to the god Huitzilopochtli. Instead of engaging in violent battles to the death, the Aztecs and Tlaxcalans agreed to fight so-called “Flower Wars,” ceremonial battles in which the goal was to capture, not kill, as many enemy combatants as possible. Verano says that these battles provided an important venue for young Aztec warriors to gain social status by bringing home a gaggle of captives, some of whom would ultimately be sacrificed. 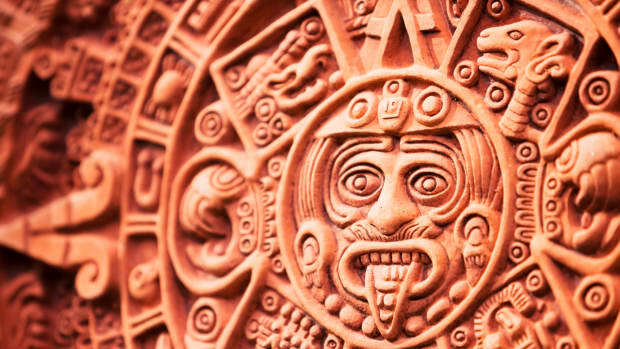 In addition to slicing out the hearts of victims and spilling their blood on the temple altar, it’s believed that the Aztecs also practiced a form of ritual cannibalism. The victim’s bodies, after being relieved of their heads, were likely gifted to nobleman and other distinguished community members. Sixteenth-century illustrations depict body parts being cooked in large pots and archeologists have identified telltale butcher marks on the bones of human remains in Aztec sites around Mexico City. 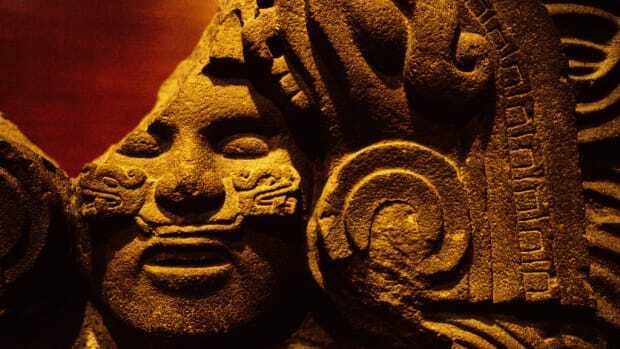 While it was long theorized that Aztecs only engaged in ritual cannibalism during times of famine, another explanation is that consuming the flesh of a person offered to the gods was like communing with the gods, themselves. As off-putting as it sounds, Verano says that ritual cannibalism most likely existed among the Aztecs and would have been considered not only normal, but a great honor.